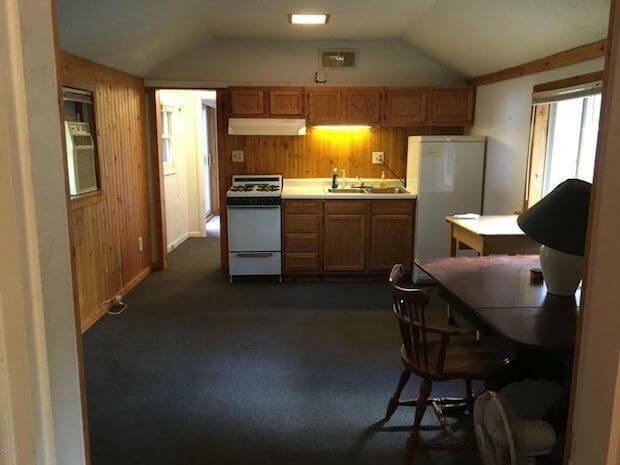 Make This Cabin Your Dream Home, Just Needs A Little Bit of TLC! 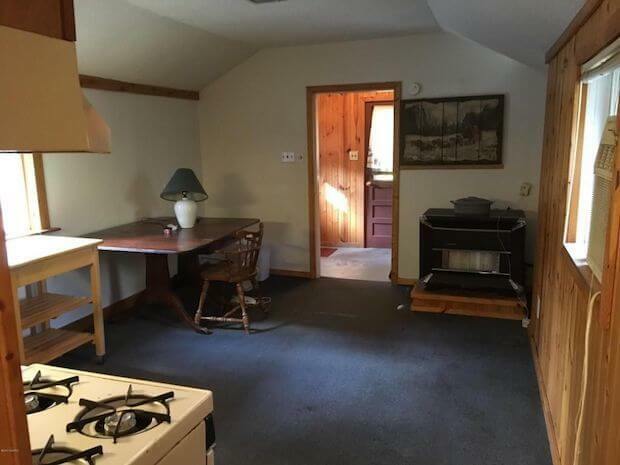 There’s a nice and simple little home located in Baldwin, Michigan that’s close to town for those who are looking for a cabin in the woods but would still rather be at a comfortable distance from civilization; this doesn’t take away from its seclusion though, still providing enough privacy for its owners. 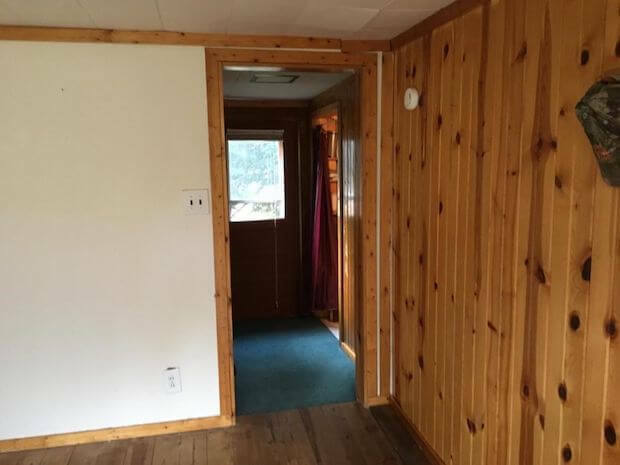 The interior is in need of some sprucing up but all in all the wooden backdrops and the simplicity of in its design gives it that classic rustic log cabin charm. Not only that, but the location will also provide some beautiful views for owners to enjoy. 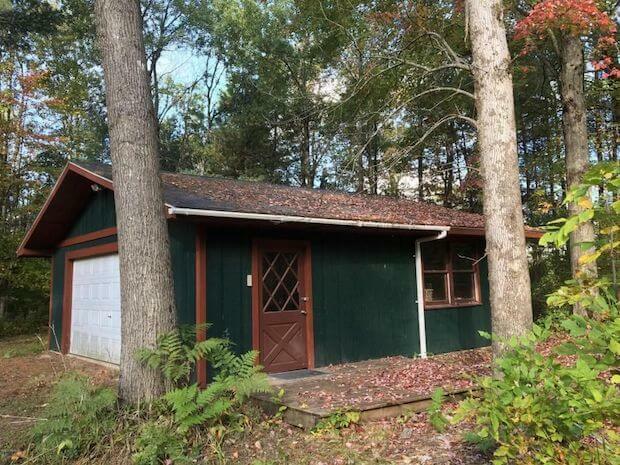 New owners will enjoy revitalizing this cabin and adding their own personal touch to make this home their very own. 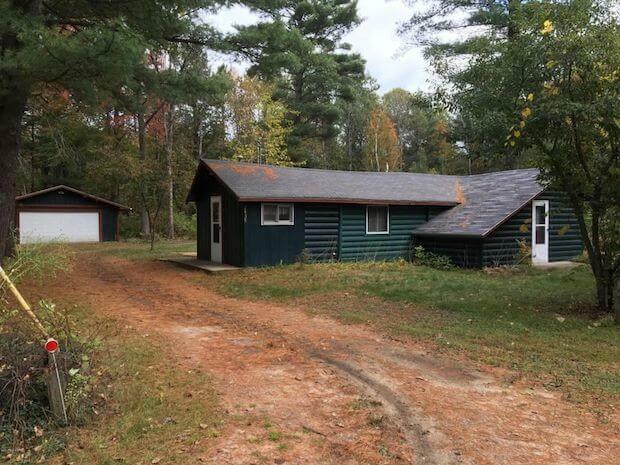 The cabin is sized at 520 square feet and it sits on 1.25 acres and it even has a private driveway. 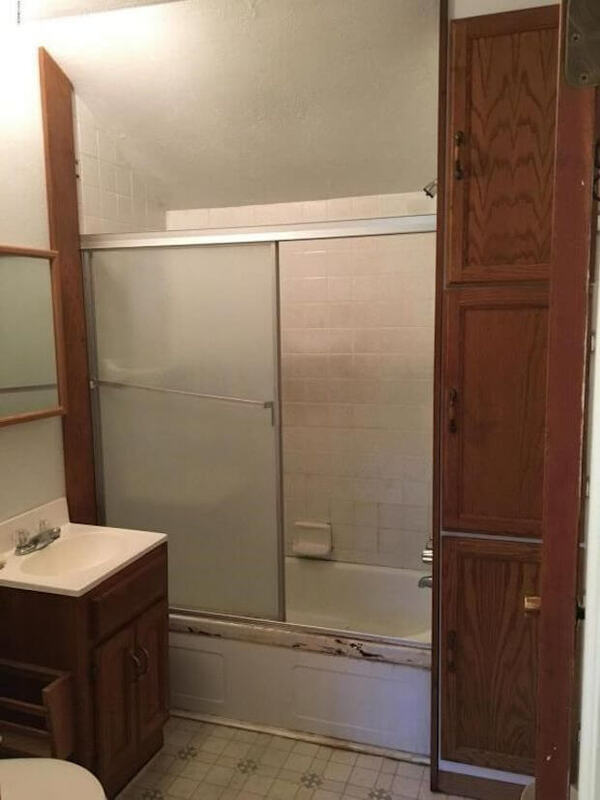 The property is for sale at a super low $56,000 so don’t hesitate to get this beauty that’s just overflowing with potential. 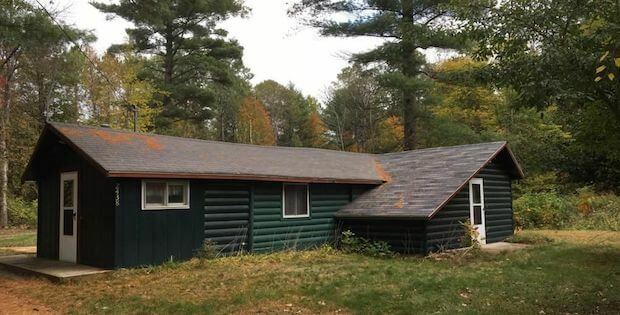 A nice wooded lot on a private road; open Kitchen/Dining/Living room with 2 small bedrooms, laundry room, and full bath. 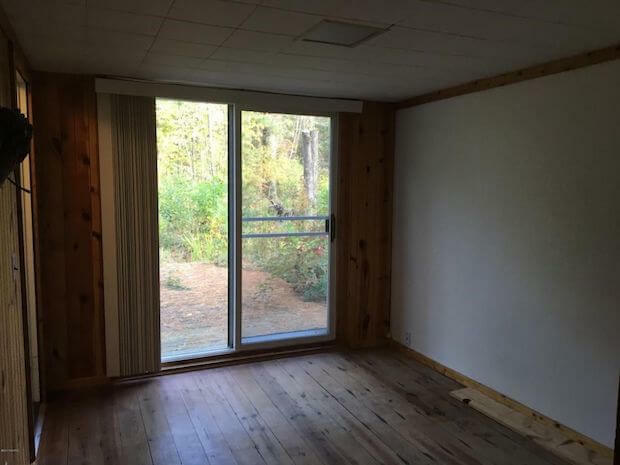 (No closets-one bedroom is a walk thru) Close to the river for your kayaking and fishing pleasures. 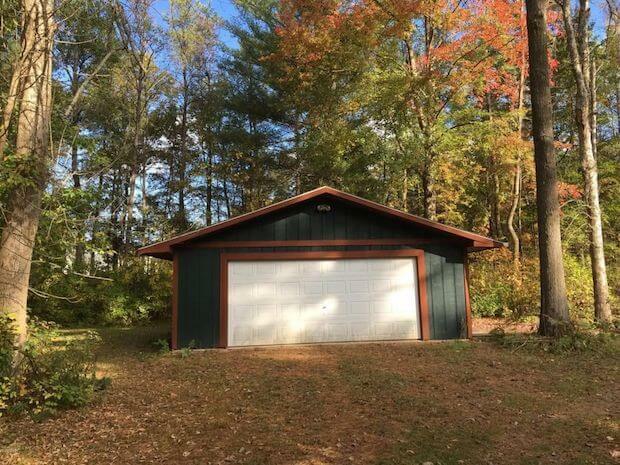 Large Two stall detached garage. A Great Up-North Getaway!